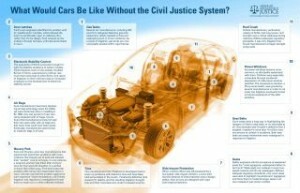 What Would Cars Be Like Without The Justice System? During the past few months, national news has been filled with stories of car recalls. Major car manufacturers — Toyota, Hundai, Acura, Lexus and dozens of others — have issued far-reaching recalls due to safety issues that can cause injury or even death. And lawsuits have been filed, with the possiblity of more on the horizon. 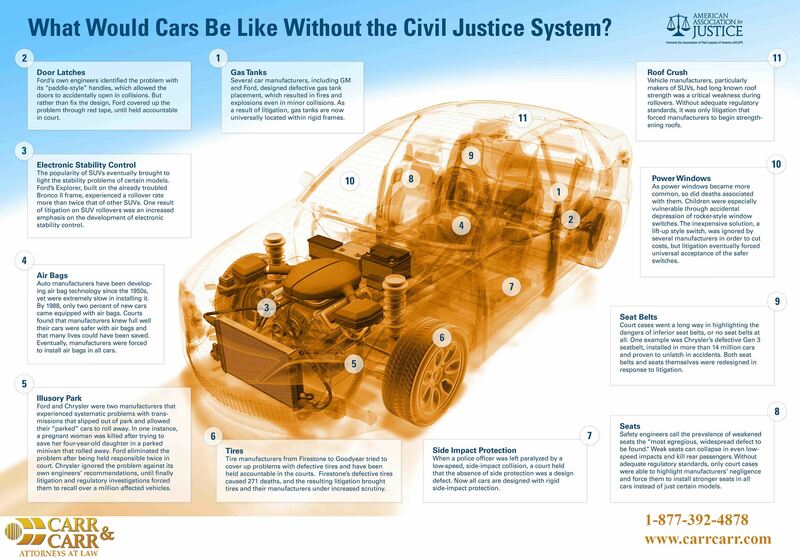 At first, it might seem frivilous or even greedy — but in the long run, as you can see, lawsuits against car manufacturers have made autos safer for all of us. Enlarge the above chart to see how cars have been made safer for you and your family. From the front fender to the rear bumper, redesigns have been performed in response to litigation. If you or a loved one has been injured in a car, truck or motorcycle wreck, contact the Oklahoma accident attorneys at Carr & Carr. Each car accident lawyer at Carr and Carr is dedicated to helping you put your life back together.